It’s happened again: I finished up the warps on both my looms at the same time. 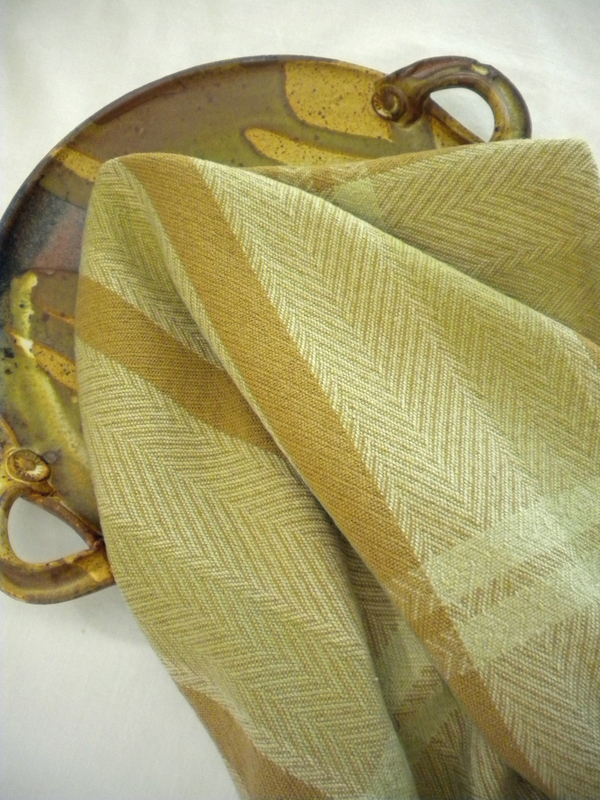 There’s a great sense of accomplishment when I unwind the newly woven cloth. What started out as cones of yarn is now a web of cloth, just about ready to use (after preshrinking, hemming, and ironing). While I’m finishing the fabric, I’m thinking about what’s next? I’m a firm believer in lists and like a lot of weavers, have a “What to Weave Next” list. The list is constantly evolving. What do I get excited about? What challenges me? What is an easy project to do after finishing those challenging ones? What have I been curious about, but never tried? What have I been putting off and should finally learn? The “To Weave” list also includes what people have asked me about. Sometimes someone will say “What I’ve really been looking for is…” On to the list it goes! What seems to be popping up in all the ads? What color is promoted at the home stores? Often I’ll get side-tracked and will go off on a weaving tangent not on my list. That’s okay; that’s what creativity is all about. The tangent should lead to more ideas. So what is on my list? 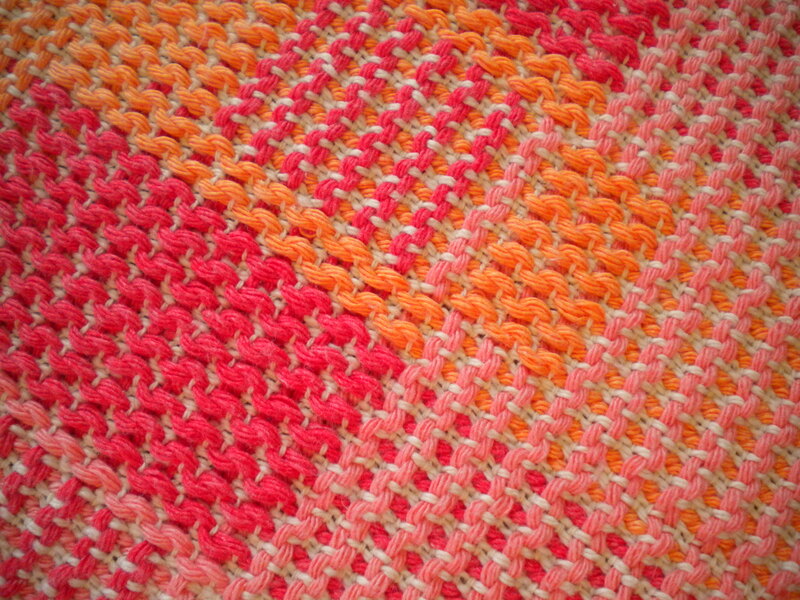 Since I just finished color block placemats in tangerine, melon and strawberry, I’ll be weaving napkins to go with them. 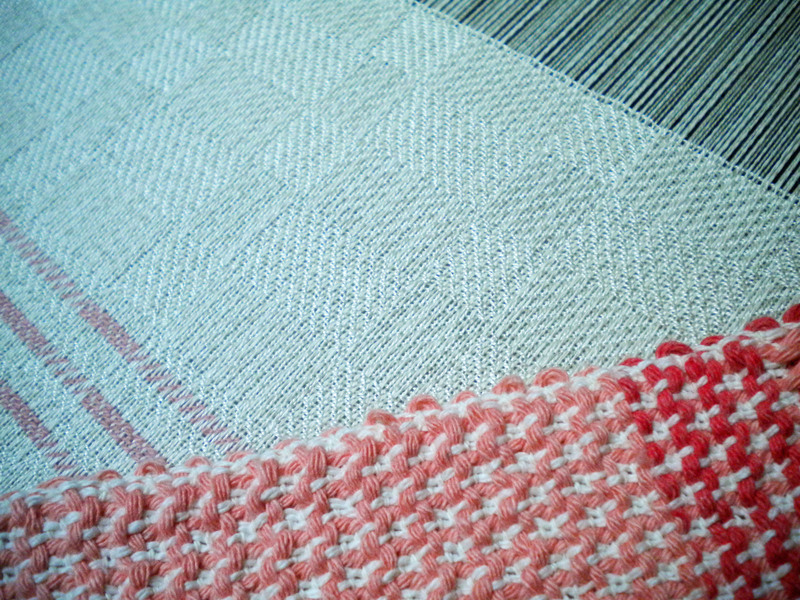 The formal tablecloths from the big loom will probably get napkins as well, something more refined in finer thread. The towel stash needs to be replenished for the spring and summer. And the 2014 Color of the Year is Radiant Orchid (see http://www.Pantone.com) — guess what color will be showing up in the new warps? What inspires you? What spurs you on to the next project? How do you decide what’s next? What’s on your list? When is a Towel Not a Towel? 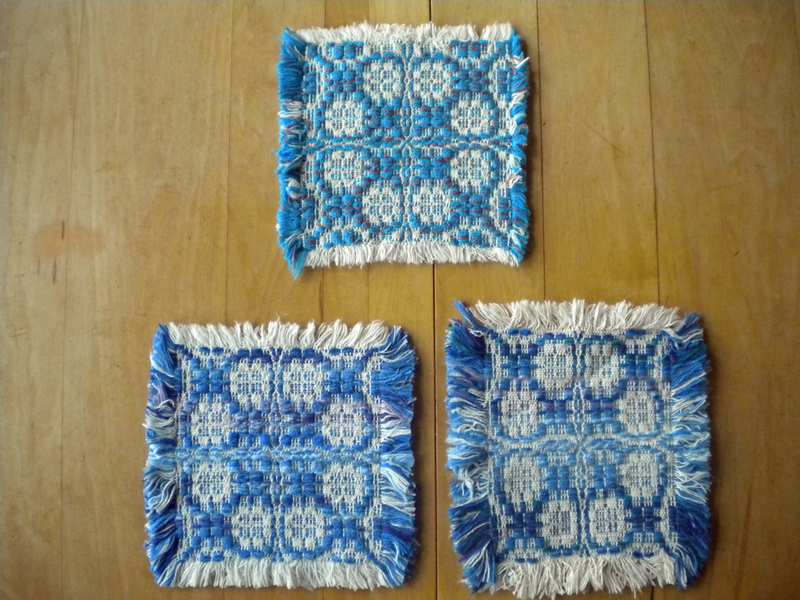 There is a familiar line we hear when talking to others about handwoven towels: “Oh it’s too pretty to use for dishes!” We laugh, but if you have to do dishes, why not do them with something pretty? 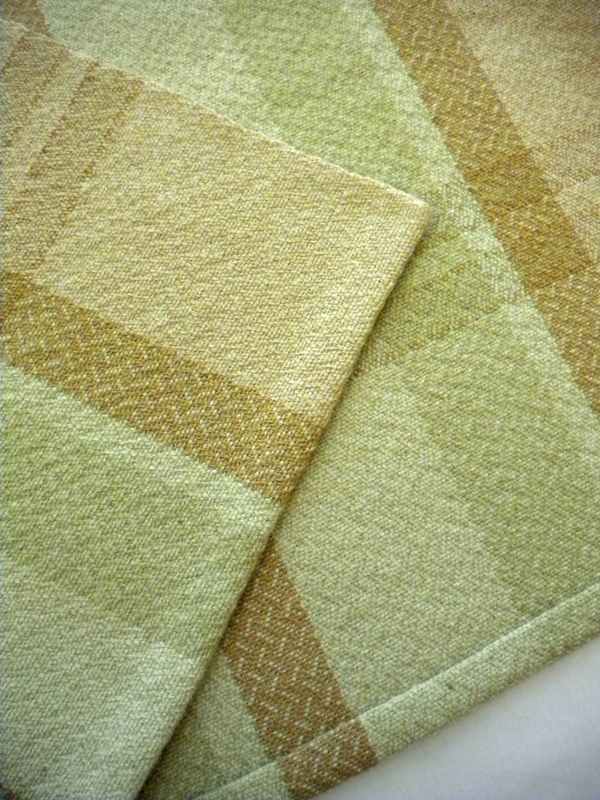 Handwoven towels are absorbent, they are soft, they feel special, and are a pleasure to work with. But when is a towel not a towel? What are some of the other uses for a “towel”? 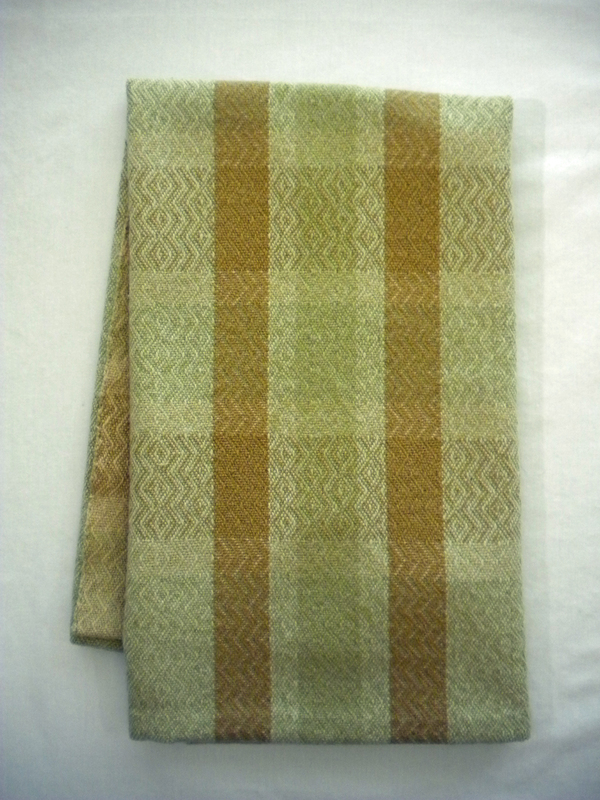 I have a collection of towels woven by friends of mine. They grace my coffee table. They cover my end tables. They accent the center piece for festive dinners. They line bread baskets. They make great hostess gifts. A friend wove one in a pattern from an early American weaving manuscript but with rich hues of plum, ruby, blue, burgundy, and gold. Another in my collection blends pastel colors of cotton and linen. There is the terra cotta towel with a natural accent border. And just recently, I purchased a delightful towel with dragonflies floating across the surface. We like to weave towels. 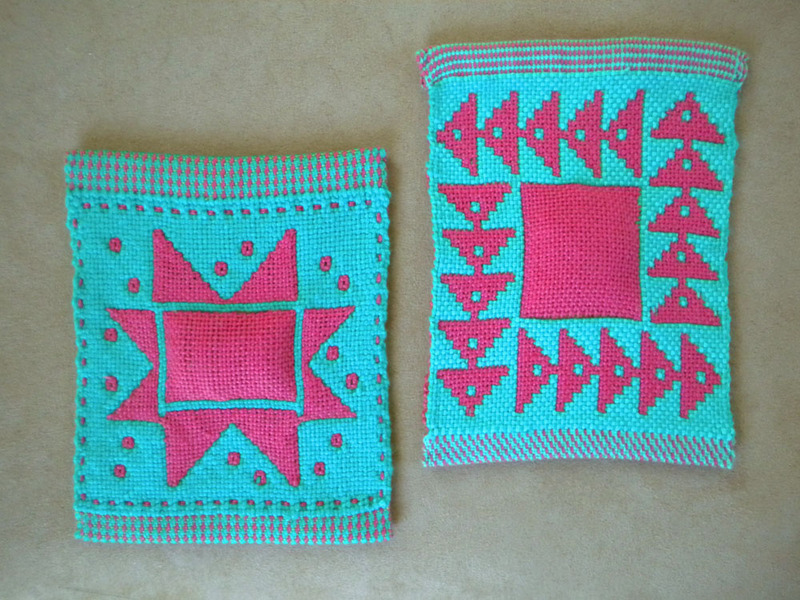 They are short projects and you don’t have to match one to another like placemats or napkins. You can warp a loom for 10 towels and weave a different pattern and color for each. And when we get tired of a draft, we can just thread a different one next time. So next time you see a handwoven towel, remember all the places you can use it. And remember–they do dry dishes!